As a dog mom, I never really realized how important and versatile a lint roller would be to me. I love my little pup Brotis, but lets just say he has his good share of hair he leaves behind both around the house and on my clothes. As the weather transitions to Fall the fashionista in me tends to wear more black clothes in comparison to other colors. Let's just say that black jeans and dog hair do not mix together! That's why a good lint brush goes a long way for me. I love using Scotch-Brite™ Lint Roller to remove basic hair off my clothes. Did you also know using it around the house helps a bunch too?! You'll thank me later dog moms. When I said a lint roller is a part of my everyday life I was not kidding. It has so many uses and it makes my life so much easier. Using it around the house helps me ensure that my house remains clean for longer. Aside from the conventional ways to use a lint roller, I wanted to share with you guys more slightly unconventional ways you can put a lint roller to good use. I love sharing tips and tricks with you guys and I'm really sure these will help. When cleaning around the house I love to use it on my lamp shades and curtains. The sheets tear easily, which make it a swift job to clean around the house. Check out more non-traditional ways to incorporate Scotch-Brite lint rollers in your home. 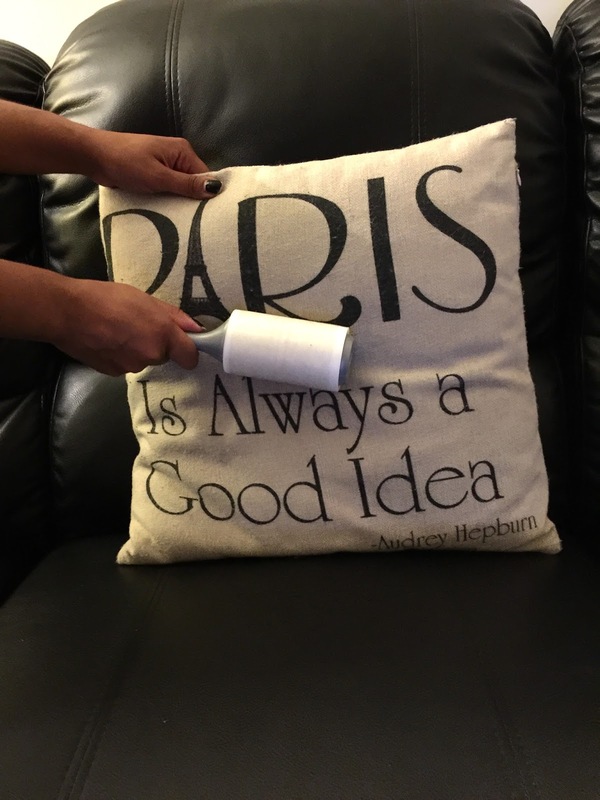 Decorative pillows & couch - Instead of dusting with a rag where all debris and dog hair will go flying everywhere a lint roller does the job better. Craft messes - As a big DIY gal I love using glitter but picking up glitter remains is not very fun. A lint roller will pick it all up super easily! Purse Debris - You ever end up with a bunch of crumbs, lint, broken receipts and just random debris in the bottom of your purse? I know I sure do, but I love to use a lint roller to clean that out. A lint roller can go beyond clothes with its flexibility. The Scotch-Brite Lint Rollers can be found at Walmart. I was able to get my lint rollers in the Closet & Laundry section. Check out some more ideas and inspirations with Scotch-Brite here. Hope these tips and tricks helped. What are some non-traditional ways you guys use a lint roller? Let me know in the comments!